Experiential learning in 3D worlds is an exciting, highly effective way for learners to practice skills through virtual experience. These technologies are not one-size-fits-all, and it’s not always clear what is practical and effective for specific learning goals. We’re going to dive in and take an unvarnished view of these technology to help you make an investment decision your learners will love. Then, we’ll wrap up with a fun exercise to illustrate the differences. Why is Virtual Experience So Essential to Training? Because conventional training often doesn’t translate effectively to performance. This failure largely stems from the fact that we learn and retain more through experience. That is, we learn the skills to apply knowledge, through personal experience. Therefore, to effectively translate knowledge into performance, we must simulate real situations in which learners can safely practice, ideally with expert mentoring. Traditionally, this practice is done in small groups at a physical location, often with one-to-one coaching. This approach is difficult to scale. With virtual technology, we can provide authentic practice and mentoring across the entire organization, using a library of content. 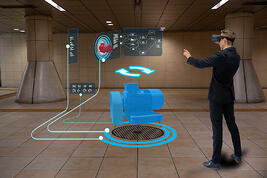 What are Examples of Immersive, Virtual Technologies? Immersive technologies make the trainee or player feel like they are “in it.” From a learning perspective this immersion creates a powerfully effective way to practice applying knowledge. Learn by doing. Game technology and video games have immersed players in 3D virtual worlds for decades. Though the user is viewing a 2D screen, this technology is highly effective at making the player feel like they are “in it.” Trainers have effectively utilized this technology for many years to create 3D virtual experiences on any device. Virtual reality (VR) on the other hand, places a small 2D screen in front of each eye to create the illusion that you are in a virtual 3D world, where you can look around much more naturally than you can on a 2D screen. So, VR is simply a new way to experience a virtual world with a headset. Augmented Reality (AR) provides visual overlays on top of what we are seeing in the real-world, to augment what is seen. It creates a virtual experience in the sense that more information is injected into the real-world scene. 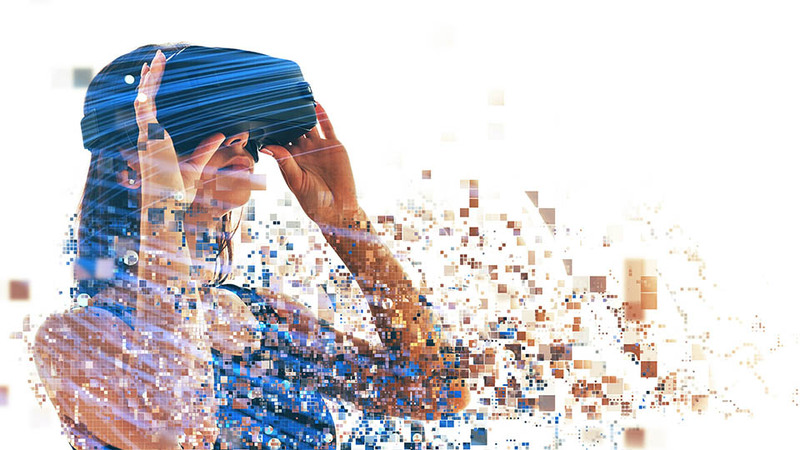 Extended Reality (XR) is a new term that encompasses all virtual forms – VR, AR, and MR.
Mixed Reality (MR), or hybrid reality, merges real and virtual worlds where the two can interact. MR is not used much in training, so it will not be considered further. Video. A 360-degree video of locations or situations is the least expensive option. The user feels like they’re there, and the addition of branching, or other in-world interactions, increases engagement. Companies like STRIVR and Uptale provide platforms to shoot 360-degree video. Use Cases: Walmart rolled out this type of video training to show departmental operations, and demonstrate how to handle spills, and safety issues. 3D Environments. Building a simple 3D environment containing interactive objects, such as a virtual piece of equipment, is the next level of content complexity for VR. Use Cases: Companies such as Heartwood and PixoVR provide this type of VR (and AR) for training in construction, manufacturing, energy and utilities, as well as for first responder training environments. Game-like Worlds. Creating custom virtual worlds with human characters and interactive objects, is the most expensive and time intensive option. Use Case: Farmers invested in a game to show what it’s like to be an insurance adjuster. When Does It Make Sense to Use VR for Training? Perhaps the training you’re interested in was not listed above. Not all training is a good fit for VR, and it all depends on your learning objectives. Below are some examples and an illustration to use as a guide. When VR is a Good Fit for Your Learning Objectives: The benefit of VR is the ability to look around a physical environment with the headset. Learners need to experience a physical environment that is geographically far away (a store, event, or site), very small (molecules interacting in the body), very large (a jet), or too dangerous (reacting to threatening situations). Learners need to learn how to interact with a device or equipment that’s not readily accessible. If the most important aspect of your training is to see what is happening in the environment, or how to respond to a physical situation, then a 360-degree VR video could work well. If your learners need to recognize diverse physical characteristics of a situation or interact with physical objects, then using VR to interact with a 3D world that’s been recreated with game technology can work well. When VR is NOT a Great Fit for Your Learning Objectives: Often in training, the physical environment is not crucial. Instead, the learning focuses on decision-making that involves conversation. 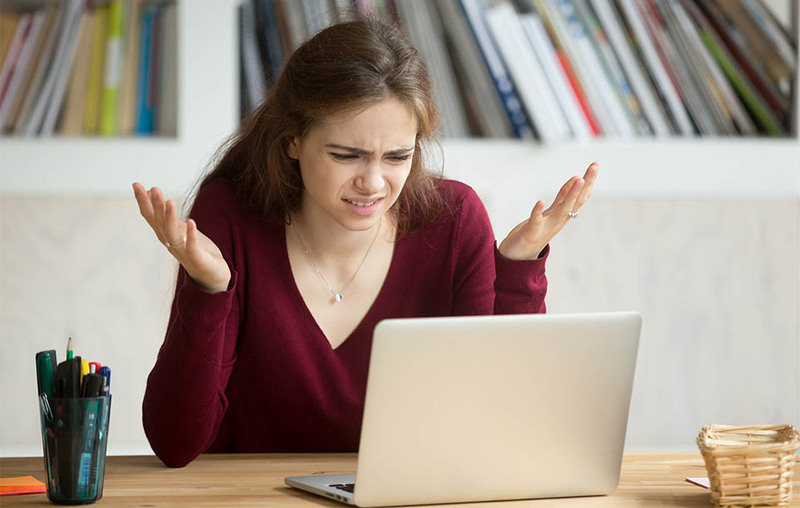 Learners need to make decisions that utilize a new business or sales process, or they must learn how to navigate difficult conversations (sales, leadership, customer service). Learners need to reach a diagnosis and decide on a course of action, such as how to manage a patient, or develop and implement an effective coaching session. In these examples, conversation is paramount, and it can be brought to life by virtual humans using game technology. Here, the goal is to create a virtual interpersonal experience, so the learner can practice making decisions and receive conversational feedback. The ability to look around the physical environment via a VR headset is not needed to achieve these learning goals, and limits access to the training. We cannot leave VR without discussing some of the challenges inherent to this burgeoning field. If you have a “VR training” box to check and a large budget, you can skip this section! Just when mobile technology is powerful enough to provide training experiences on any screen, VR enters the scene and requires new, dedicated hardware! VR headset technology is moving very quickly. For example, Oculus just released another headset, with more capability, within a year of Oculus Go. See comparisons here. Impact: Expense is a consideration if you want to scale VR across your organization. The headsets are evolving quickly, so investments can quickly become dated. Remember how the first iPad could not run most of the apps released for the second-generation iPad? About 25 to 40% of VR users experience motion sickness symptoms, ranging from headaches to nausea. The specific causes of VR sickness are not yet known, nor is there any way today to predict who may be intolerant to VR. While there are some claims of solutions in specific circumstances, this research is in its infancy. The way the visual cortex in the brain processes visual data is complicated, and VR is trying to emulate real-life 3D with lenses. Eyestrain and fatigue are caused by an eye-focusing problem called “vergence-accommodation conflict.” This is essentially a neuroscience problem, not yet solved by VR manufacturers, that causes discomfort for VR users over time. Designers can lessen the impact on susceptible users by limiting movement, such as “teleporting” from one place to another. Also, limiting training time to less than 15 minutes can lessen discomfort. Impact: Some trainees may have difficulty with the training, and alternative accommodations will be needed. Investment in newer headsets may eventually resolve health issues. VR technology today is similar to the way 3D game technology was 15 years ago. Back then, software (game engines) and hardware (PCs and Graphics cards) were evolving rapidly, making development expensive, and software short-lived. Today, a plethora of VR software platforms are competing and changing in concert, with advanced hardware technology. While VR developers may not want to tell you this, their technologies are changing at a fast pace. VR is in the exciting early stages, which is often only suitable for earlier adopters. Impact: Just like game technology projects over a decade ago, the VR software underlying training programs will have shorter half-lives, due to the speed of advances in the technology. This will not concern early adopters, but it is a consideration for those incorporating VR as part of a longer-term strategic plan. While passive 360° video VR is more straight-forward to edit, interactive approaches to the technology are custom projects. Once published, the content will be difficult to modify over time. In addition, obtaining analytics on a learner’s progress will require a custom metrics-gathering system, which must be developed and maintained. Impact: Updating content may be difficult, limiting the shelf life of the training. Here’s a fun little exercise to illustrate the differences these technologies. Ready? 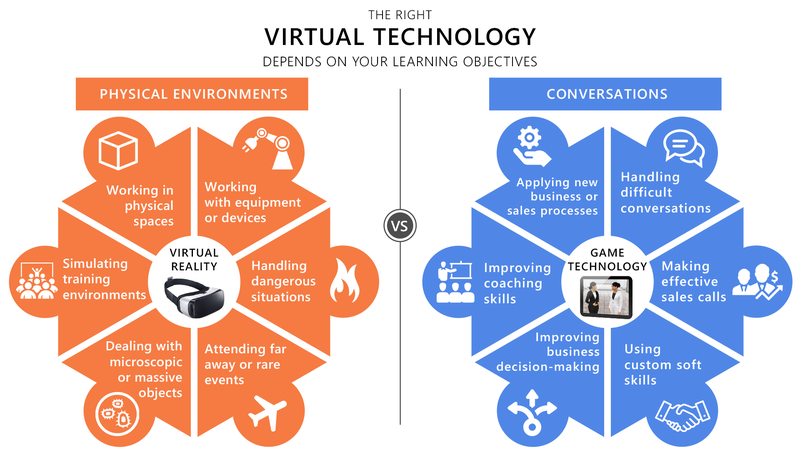 Let’s consider two very different training situations where we must decide if virtual reality (VR), augmented reality (AR), or game technology is a good fit. Deepwater Oil Rig: Train a new division of technicians to troubleshoot and repair equipment on deepwater oil rigs all over the world. Leadership Training: Train leaders to utilize established coaching techniques, or how to make optimal decisions when handling difficult conversations. We’ve talked a lot about VR so far. Would you consider VR for these training situations? Deepwater Oil Rig: Training someone on site would obviously be hugely expensive and potentially dangerous. Therefore, remote training makes sense. A low-tech training solution with videos and an interactive training manual would not allow for realistic practice. The cost-savings must be weighed against the risk of failures in the field. Creating a virtual reality environment, for users to see and work with the equipment, makes perfect sense. One can use interactive game software with VR headsets, in a land-based facility, to do the training with higher-end computers that can handle realistic 3D simulations. Though more expensive to develop, one would expect the ROI to be positive year-over-year, and the solution would scale well. Here is a terrific video showing what can be built. Leadership Training: Since we’re talking about VR here, what in the physical world is important for us to virtualize in order to meet the learning goals? Probably not much. We are focused instead on the conversation here. Conversing with virtual humans with fully-developed artificial intelligence, like on West World, would be awesome for practicing decision-making and soft skills! This technology does not exist yet though, as any conversation with Alexa or Siri will attest. We can create interactive, conversational decisions, with virtual humans, using game technology, but the VR headset does not offer much added benefit when your learners are focused on the conversation in front of them. Conversation and responsive mentoring are not strengths of VR. Benefits of VR Technology for Learning: It’s fantastic at immersing a learner in a physical environment that may be too far away, too large, too small, inaccessible, or even unsafe to experience in person. If the physical environment is not critical to the learning goals, a defendable ROI is difficult to achieve. Here we are talking about overlaying the physical world with additional information through smart glasses like Microsoft’s HoloLens, Vuzix, and others. Would you consider AR for these training situations? Deepwater Oil Rig: This is a common application for AR. Imagine looking at a complex piece of equipment. The AR software detects the component parts and shows how to take it apart in a virtual overlay, step by step. Now the learner can emulate the steps and do it themselves, all in real time. Here is a great video of AR in action. Leadership Training: It might be a bit creepy to use AR during a conversation with a real person! Since AR is visual, it would be of no help with decision-making during a conversation. Voice-enabled augmented intelligence may someday help with conversations; for now, it’s limited to tasked-based augmentation, where creativity and interpretation of emotion are not needed. Benefits of AR Technology for Learning: AR is a great fit for just-in-time training, in a specific location, where assessment of the physical environment or equipment is critical to the learning gap. Game technology can immerse learners in 3D worlds and situations where they control the experience. While VR utilizes game software, what we are considering here is the use of game technology on modern laptops, tablets, or phones. Would you consider game technology for these training situations? Deepwater Oil Rig: This would be nearly identical to the VR example. The technology is the same, only without the headset. Many VR applications are designed to also run on desktops and laptops, where the user views the experience on a flat screen. If your objective is to allow remote training, or reinforce in-house VR training in the field, using game technology without the VR headset is a great option. The cost will be driven by the interactivity required, so the ROI will be similar, with or without VR functionality. 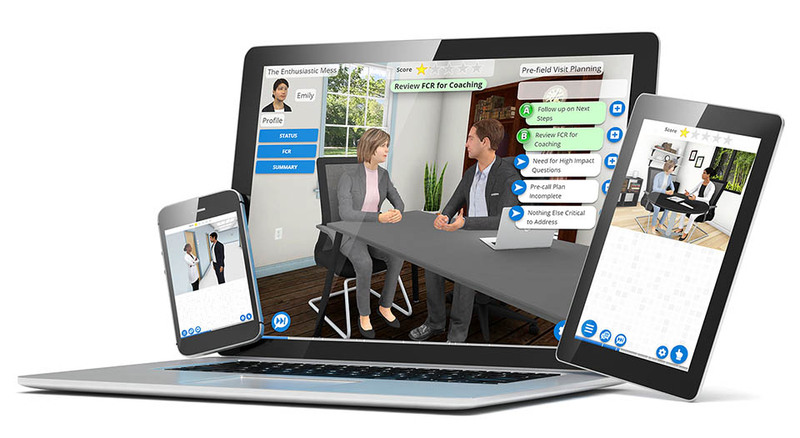 Leadership Training: Modern game technology can place a learner in realistic interpersonal situations where they can engage in conversation with virtual humans. Trainees make optimal (and not so optimal) decisions, experience best-practice soft skills, and receive expert virtual coaching, while your organization receives analytics on learner performance. This same approach could be used for training in other areas of situational decision-making, such as sales training or employee management. Choosing a web-based platform can provide a cost-effective way to enable rapid deployment at scale, on any modern device. Benefits of Game Technology for Learning: A virtual learn-by-doing training platform combines the immersive qualities of sophisticated game technology and gamification, with adult learning methodologies and brain science, to allow learners to practice in responsive virtual situations and receive expert coaching. There are many immersive learning technology options available for training today. We touched on several examples. They are all engaging and exciting! 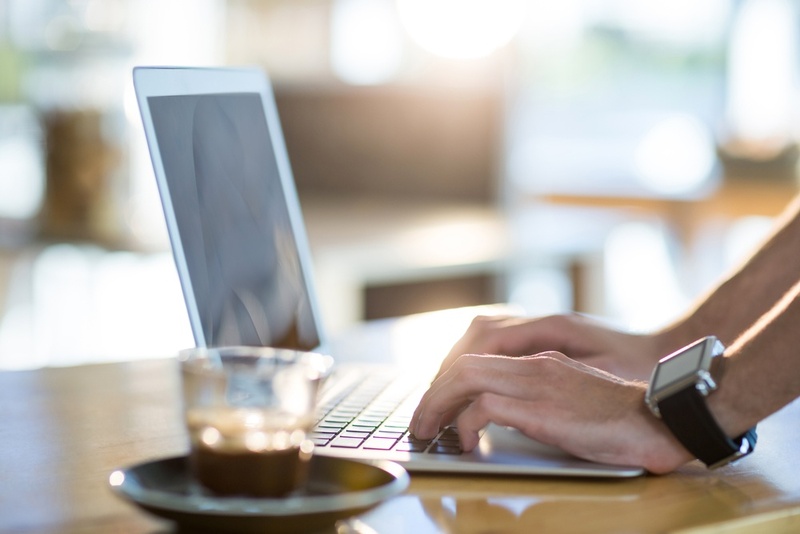 In a practical sense, each technology has its strengths, and if your learning objectives match those strengths, it can be a highly effective solution, with a great ROI. Hopefully, this post provided a framework to help you evaluate which immersive learning technology is best to meet the learning objectives of your training, and wow your audiences. About Syandus: Virtual immersive learning technology that transforms knowledge into real-world performance. We immerse participants in realistic virtual situations with one-on-one expert coaching that gives them experience making optimal decisions. Syandus Learning Modules combine cognitive science principles, the realism of game technology, and our customer’s proprietary content, to deliver rapid skill acquisition. Modules are cloud-based for easy deployment, fully trackable with embedded analytics, and can be used on any web-enabled device. Doug leads a team at Syandus that combines cognitive science with virtual game technology to create rapid skill acquisition. The company has won several awards from the National Science Foundation’s Education Division. Syandus: Virtual immersive learning technology that transforms knowledge into real-world performance. We immerse participants in realistic virtual situations with one-on-one expert coaching that gives them experience making optimal decisions. Syandus Learning Modules combine cognitive science principles, the realism of game technology, and our customer’s proprietary content, to deliver rapid skill acquisition. Modules are cloud-based for easy deployment, fully trackable with embedded analytics, and can be used on any web-enabled device.